The stainless steel base side table adhers to the contemporary design trends in an elegant subdued manner. 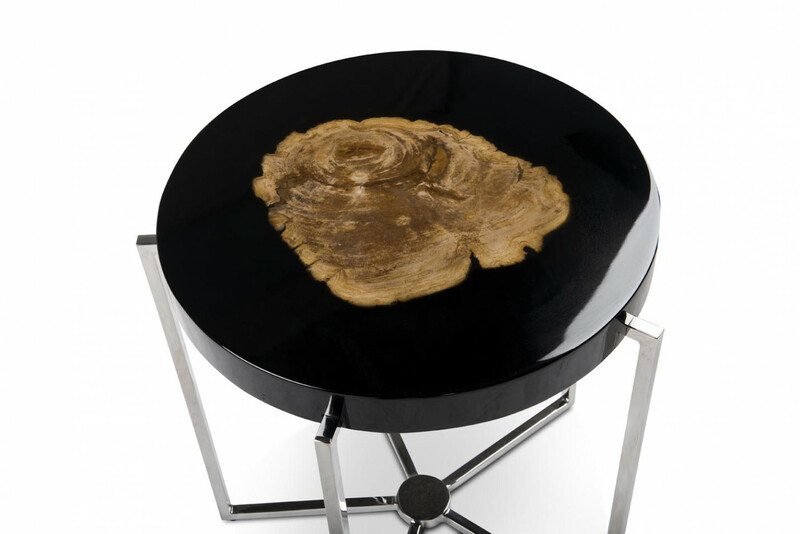 The petrified wood veneer at the table top gives it a dramatic outlook. Moon side table has a distinguished frame accommodating a lot of breathing space along with a sleek base.